You have work projects ? You are overwhelmed, you do not know which companies to contact ? Luxdevis finds professionals available to you and able to meet your expectations. I choose a categorie in the top-menu and I fill out the contact form. 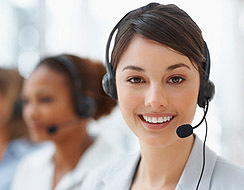 Our team will process your request and transmits the information to professionals in your area. 5 professionals will contact you to create an offer that meets your needs best. The services of Luxdevis are completely free. Our benefits are paid by the professionals. How many professionals will contact me ? It is very variable but we limit the number of professionals who have access to your details up to 5 so you do not get overwhelmed. If we fail to find professionals to meet, we will notify you by email 6 days after your request. How professionals will they contact me ? Professionals contact you mostly by phone (requests without phone number are not processed). In order not to disturb you, you can ask them to call you at a specified time. Some professionals will first contact you by email before they call or to schedule an appointment. Professionals do they come to your home to establish their quote? Generally yes but this is at the discretion of the professional. Is my contact information published on the Internet ? No, your details will only be passed up to 5 professional and they will never be accessible to Internet users.